As companies prep for the upcoming holiday season, marketers are looking even further ahead at new and continuing trends for 2015. According to industry experts at Packaged Facts, there are many trends, which impacted the pet industry in 2014, that are expected to develop even further in 2015. 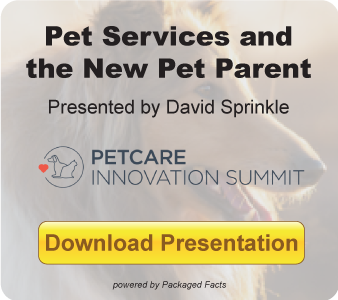 In Packaged Facts’ comprehensive report U.S. Pet Market Outlook, 2014-2015, they project different industry trends that will gain popularity and change pet product sales throughout the course of 2015. Between 2009 and 2013, overall pet ownership increased from 53.6% to 56.5%, which placed ownership in 66.8 million households. The percentage of households with dogs has been on a steady increase, while cat ownership has remained flat. This drive has been influenced by the amount of Gen Y and Gen X adults that have decided to get pets. In 2013, there were 29 million Gen Y and Gen X pet owners, which was 3.7 million more than Boomer pet owners. In 2013, Gen Y owners had the greatest increase in dog ownership, reaching 49% in 2013 vs 37% in 2011, while Gen X saw an increased rate of ownership of “other pets” category, reaching 11.4% in 2013, up from 6.8% in 2012. 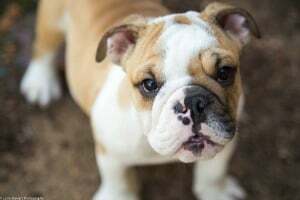 Founder of APOP and veterinarian, Ernie Ward, said pet obesity “has the greatest collective negative impact on pet health, and yet it is almost completely avoidable.” As health concerns become more prominent in people’s lives, it is also slowly transitioning into the lives of their pets as well. Now, 28% of dog owners and 33% of cat owners agree with the statement that “I buy pet food/nutrition products related to weight/obesity for my dog or cat.” As more awareness develops, more actions will be seen to prevent pet obesity. Pet owners who view their pets as family members are more willing to invest and spend on products and services for their pets. In 2014, we saw an increased Gen Y ownership, most of which considered their pets as “furry babies” rather than companions. These new pet “mommies” are much more willing to spend more money on their pets. Data from the American Veterinary Medical Association in 2011 found that the correlation between the degree of human/animal bond and pet spending is directly related. Households that view their dogs as family members spent $438 on average at the vet, compared to $266 spent on average at the vet in households that just saw their dog as a pet/companion, and $190 on those who viewed their dog as property. The increased presence of trends, such as the humanization of pets, the human/animal bond, and pet owners’ dedication to their pets’ health, have all contributed to a new trend that is driving growth in the industry: the premium pet product shopper. According to a survey, 70% of pet owners are willing to spend extra to ensure the wellness of their pet. And, 30% of pet owners agreed that they prefer to shop at pet retailers that offer the best products available, even if it is more expensive. The main premium product that is purchased is pet food. More expensive pet food is equated with a healthier product. This is something most pet owners will not give up, even in hard economic times. The percentage of pet owners who are store loyal, or only purchase their pet supplies in one particular store, has declined. In 2006, 53% of pet product shoppers said they were store loyal, but in 2013, this rate dropped to 42%. Experiencing a hint of growth because of this trend is natural supermarkets. Pet products in natural supermarkets experienced a 7.8% increase of sales in the fiscal year ending in February 2014. The previous year before that saw a 9.5% increase. This increase contributes to pet owners not being store loyal and to the rising need for natural pet products. For more information on developing pet trends, check out our free eBook.